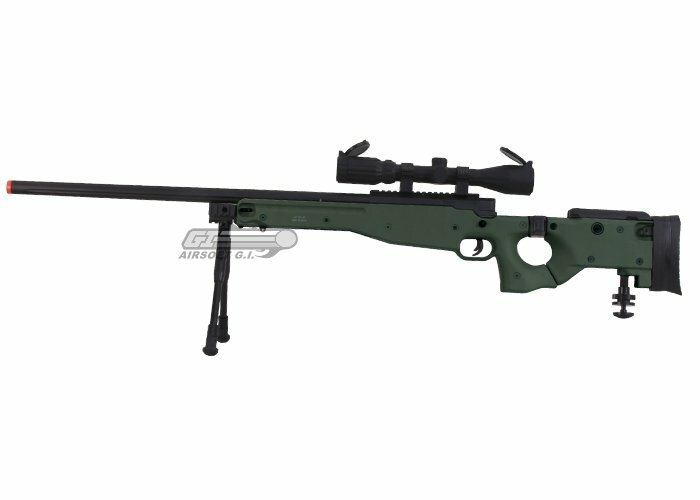 Well has taken their popular MB01 Sniper Rifle which was based on the L96 sniper rifle that is issued to the snipers of the British Army and other various special operations organizations from all over the world, and has made it even better. 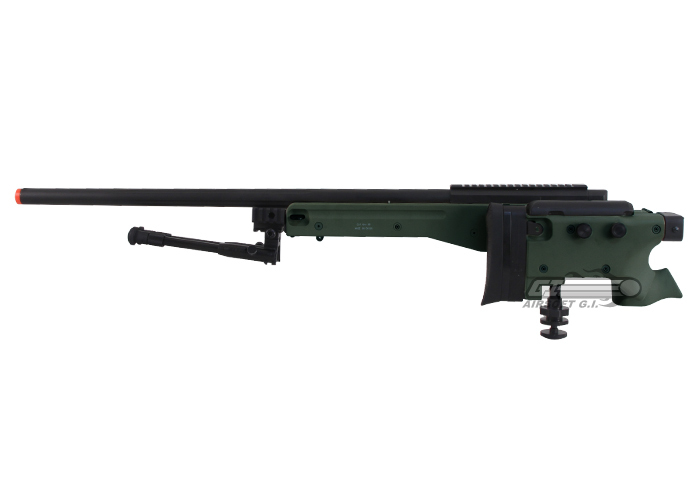 The Well MB08 now features all of the features of the MB01 with the addition of the folding stock for ease of storage and transportation, and monopod on the base of the stock for additional stability. 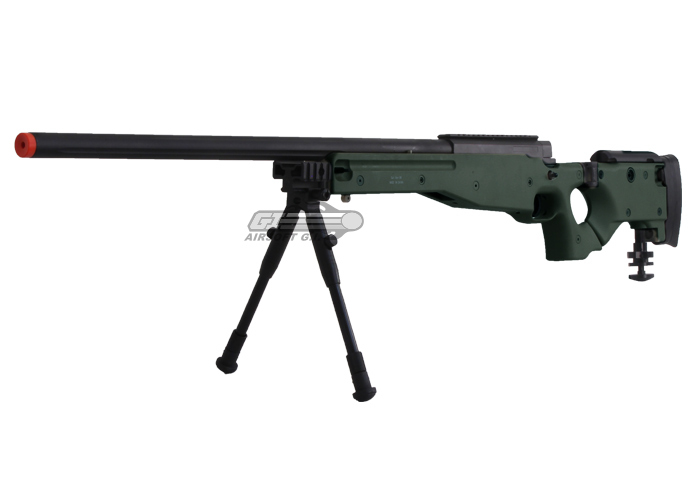 This airsoft replica comes ready to turn you into a true airsoft sniper. 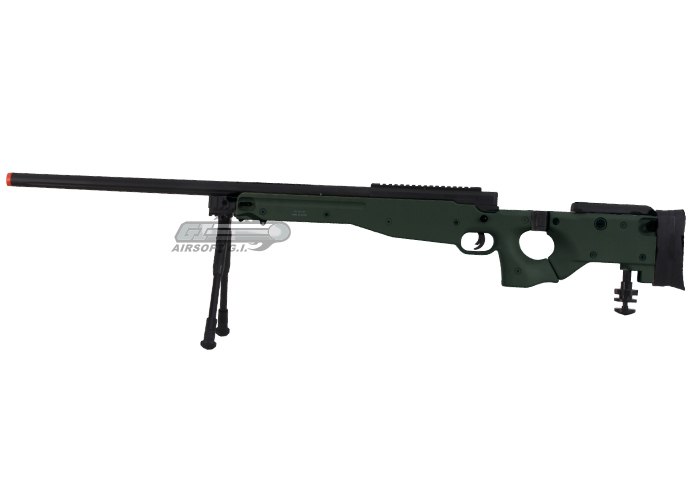 It features an adjustable cheek rest and a 20mm scope rail that makes the addition of a scope easy. Also, the spring power bolt is surprisingly easy to pull back for a airsoft gun that is shooting over 400fps right out of the box. 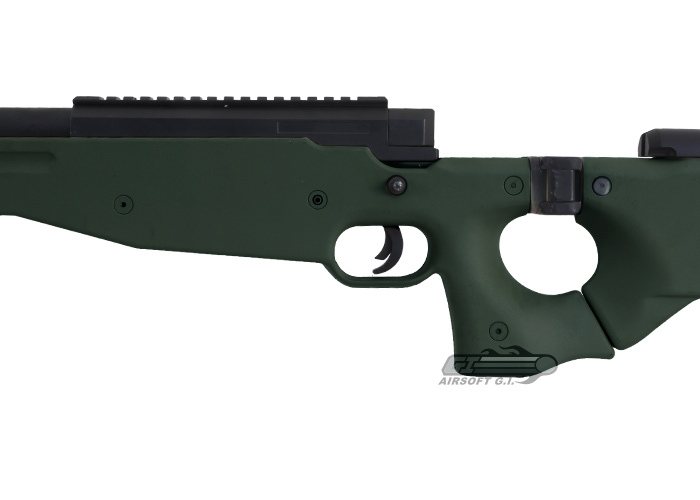 Furthermore, the ergonomic grip and stock make this rifle extremely comfortable and easy for the user to keep it trained on target. 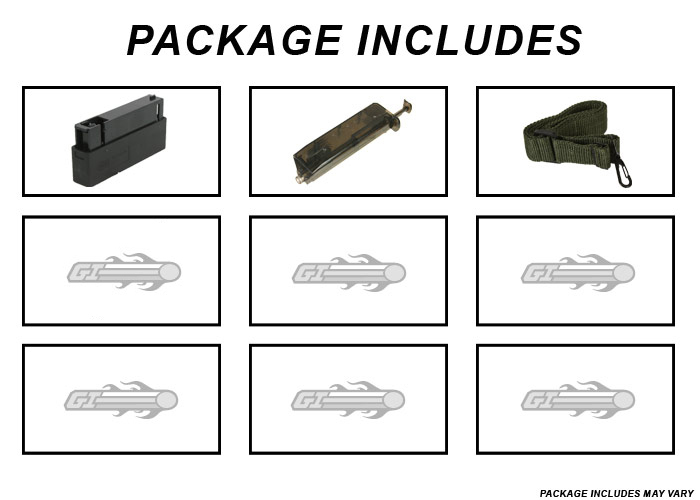 Optic and bipod are NOT included. 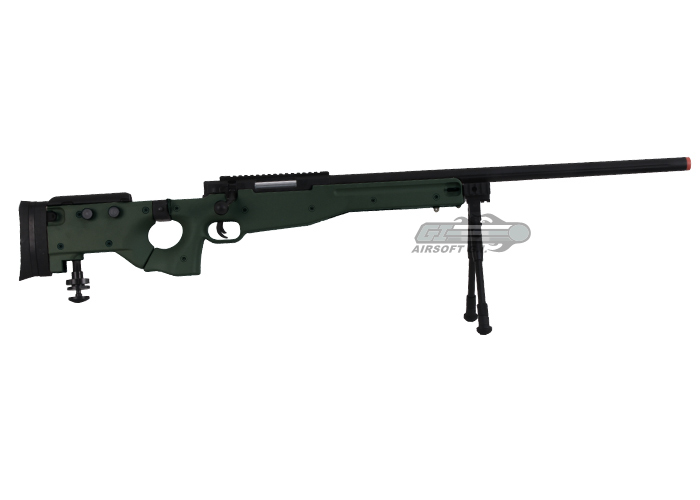 I have 2 now and they are great for beginner snipers or vet in the class. BB loading ramp is very/to fragile and nobody carries them in stock. Don't really care for the folding stock. 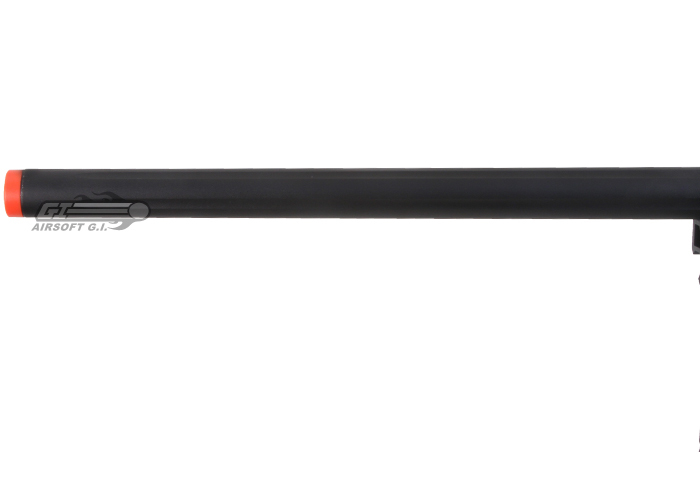 This is one of the greatest rifles I've used for both distance, and accuracy. I'm the sniper role on our team of 37 people (I've been the sniper for 8+ years), I've used many rifles but not many come to mind when it comes to something that's actually snipping material for airsoft "that doesn't cost almost $500+ with great fps that's also NOT gas powered". This is a great gun for lightweight/fast travel with a fold able stock that makes it more maneuverable for running and storage, since its big. (I recommend buying more mags for it, 1 or 2 at least.) I'd give this a rating of 4, it's not all metal but it is a good solid structure, good bolt, easy to reload, feels & looks great. Again this is a great gun for medium to long rang combat. 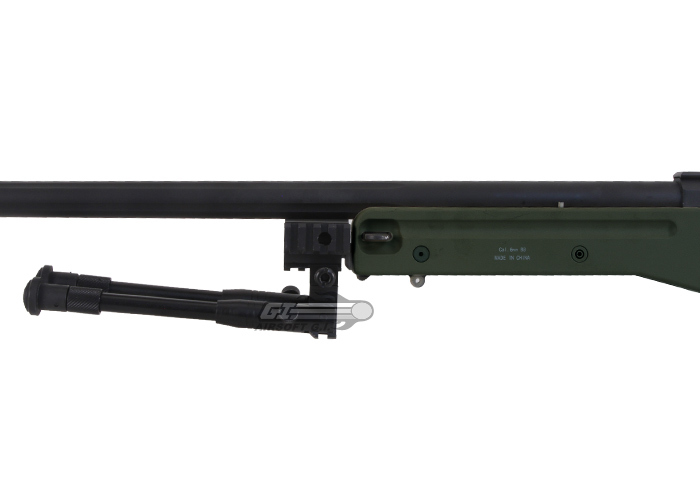 real rifle scopes/sights fit on the rail. not all metal (if you count the body that is, besides that, the whole barrel/bolt/rail/bipod/trigger is metal). 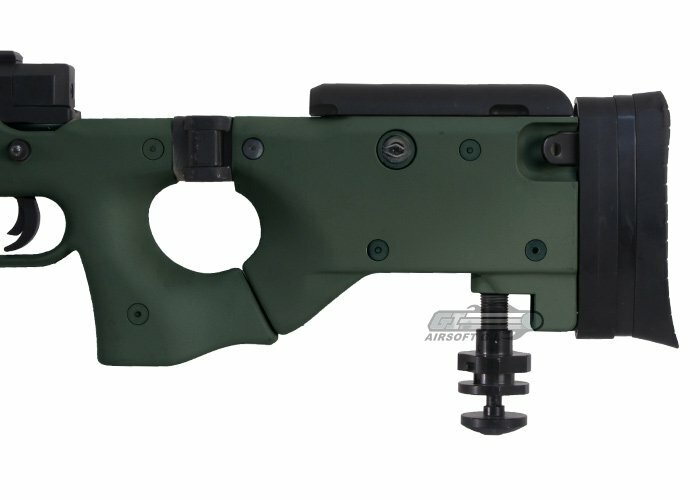 What spring can I use the replace the stock one with? We recommend a Type 96 Action Army spring. Probably M150 or M170. 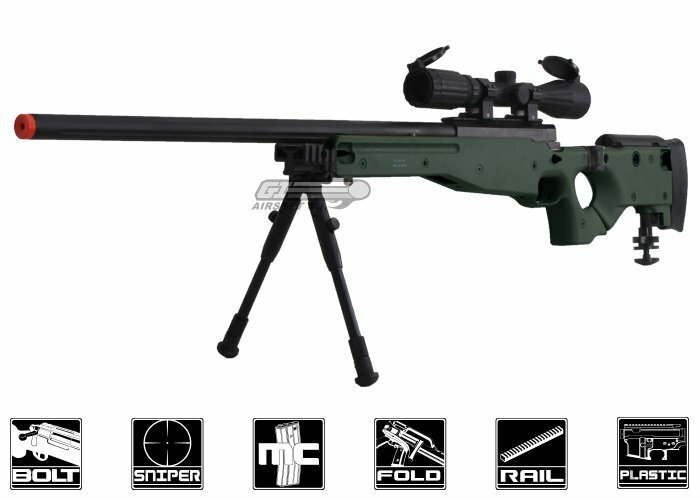 The description says bipod is not included. does this come with a scope?